It’s that time of year again! The Austen in August literary fun fest is going on over at Roof Beam Reader and I am throwing my hat into the ring for the third year in a row. It’s a fabulous, month long celebration of all things Jane Austen. Folks are reading, watching and blogging their bonnets off in an effort to saturate themselves in Austen novels, books about Austen novels, fan fiction, movies and Austen-y giveaways. Come, let us join in on the festivities! 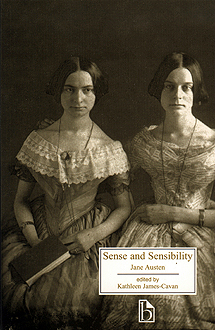 My third selection for A in A was Sense and Sensibility, a novel where two sisters play the main characters. Elinor, (Miss Sense) is level-headed and self controlled. So much so that her Mother considers her more rational and dependable than herself. Marianne, (Miss Sensibility), is an outgoing and emotionally demonstrative young lady. Well, it’s Austen so you know it’s imperative that these ladies marry and marry well. Especially since their recently deceased father left all the inheritance to his son from a previous marriage. (And his nasty little lovely wife did not want to share). Mom and the girls need a plan. Thankfully, a modest and cozy cottage is prepared for them and it’s not long before the social connections bring handsome men knocking at the door. I have to tell you, as a first time reader, initially, I was thoroughly confused. There were so many Miss Dashwoods and Mrs. Dashwoods that I couldn’t keep them straight. I wasn’t even clear at first who had died, I thought it was grandfather. Anyway, perseverance produced clarity eventually and I was able to move on. And, I have to be honest. This was a hard one for me to stick with. I really think it was the timing more than anything. I read Pride and Prejudice last August. My son was supposed to read it the following school year, but I decided to substitute it with The Lord of the Flies instead, with the condition that we would watch the P & P movie over the summer. Well, we watched the six hour BBC version which was fabulous and very shortly after, I picked up Sense and Sensibility. It felt so much like Pride and Prejudice in the setting and circumstances that the two just seemed to overlap in my mind. Then I began to be disappointed because I wasn’t laughing like I did with Pride and I couldn’t find all the wit and sarcasm from Lizzy and by the time I finished the book I was sad that there was no Mr. Darcy to save the day. I just shouldn’t have read the two back to back like that. It messed me up. 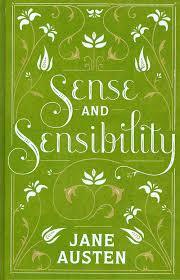 Now, an Austen scholar could school me easily on the merits of Sense and Sensibility. I have no doubt they are there but since I am no scholar, and only a first time reader, I wouldn’t dare try to give a literary critique of this book. Instead, I’d like to talk about the covers. * The above cover is my favorite. I wish I knew why it is designed the way it is but no matter, I love it. * I’ve had my eye on this little beauty for a while now. This watercolor edition is part of a set including Wuthering Heights, Pride and Prejudice and Jane Eyre. I think there may be others added to the collection now. * I think this one is lovely and would look beautiful on anyone’s bookshelf. So far, Northanger Abbey is still my favorite Austen novel, but I have yet to find a cover for Northanger Abbey that I like. Well, that’s it for this edition of Austen in August. I’m totally planning on participating again next year. I’ll take any recommendations on what to read next. I’m thinking Persuasion. All I really know about it is what the woman on The Jane Austen Book Club says about it, that it’s about second chances and such. I can jive with that. Also, if you want to laugh, the very short work “Love & Freindship” is funny. She wrote it at sixteen. Thanks so much for the recommendations!! I’m so glad to find another Northanger Abbey fan! It’s a wonderful book, but it does tend to get overlooked a lot in favour of Pride and Prejudice, Sense and Sensibility, and Emma. I totally understand how difficult it is to jump from Pride and Prejudice to Sense and Sensibility; they are quite different, and the heroines in particular are very different from Elizabeth Bennet, which can take some getting used to. 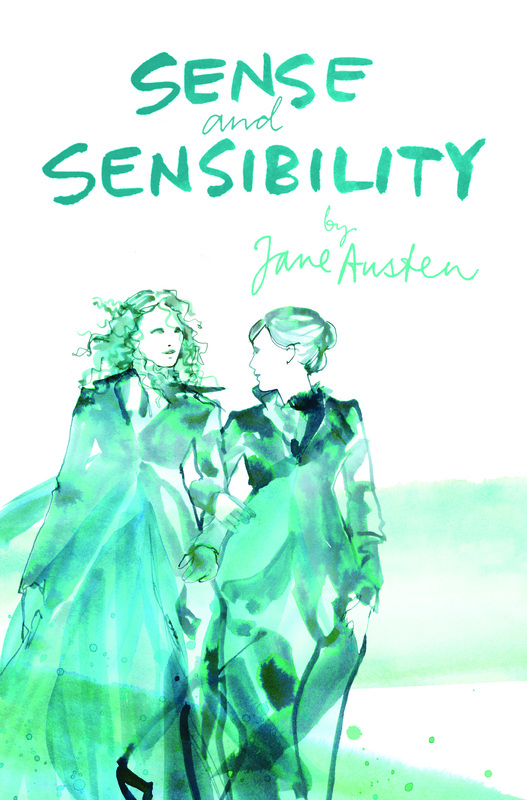 The 1995 movie of Sense and Sensibility with Emma Thompson is absolutely wonderful, I remember that after watching it I came back to the book with a whole new appreciation for the story. I’m definitely going to watch Sense and Sensibility soon. I’ve heard such great things about it. That 3rd book cover looks pretty dour! I need to read more Austen too. I love Northanger Abbey. There’s a cover you might like, that I posted with the review of it at my blog. 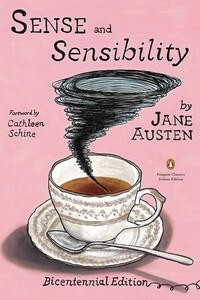 Sense and Sensibility might be my favourite Austen. Sorry you didn’t like it as much. I do think it was detrimental to reading it back to back with P&P. They both might have sisters, but they’re not the same and there is definitely no Darcy. If you gave it some space, you might like it better on a second reading.